Our expanded polymer solutions are widely used in advanced filtration systems, particularly in the semiconductor, medical, gas, and oil industries. 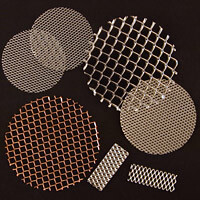 PolyGrid® precision-expanded polymers from Dexmet are used in ultra-pure filters, most commonly in the semiconductor industry where resistance to high temperatures and caustic chemicals is essential. 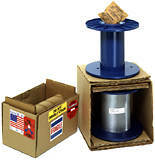 Other uses include the medical, gas, oil and pharmaceutical industries. However, the flexibility of our expanded plastics allows PolyGrid® to be used in many other applications. 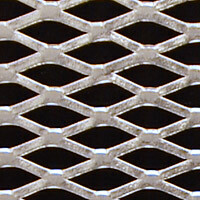 Dexmet PolyGrid® is available in most polymers or we can work with your proprietary materials. Dexmet meets Clean Room specifications to Class 10,000. 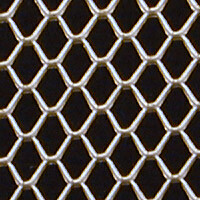 A range of standard diamond mesh sizes from .020” to 1.2” is available. The number of openings per square inch can vary from 25 to as many as 11,000, with an open area range from 10% to 90%. The variable open area facilitates lamination with a variety of other materials including those which expand, contract and flex. Designing a precision expanded plastic material with unique characteristics is our specialty. Dexmet’s extensive manufacturing resources can accommodate many variations for plastic materials in a range of finished thicknesses. Dexmet Corporation introduces PFOA-Free PolyGrid® Expanded Fluoropolymers. PFOA (Perfluorooctanoic Acid), is widely used as a polymerization surfactant in making fluoropolymers including PTFE, PFA and FEP. Dexmet provides PolyGrid® without this harmful additive for medical, filtration and food processing applications that require a PFOA-free expanded material. 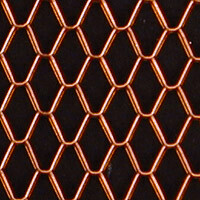 PolyGrid's® flexibility and its unique properties allow our expanded polymers to be used in a number of applications. Dexmet precision expanded plastics offer superior performance and material savings for a range of materials and applications. 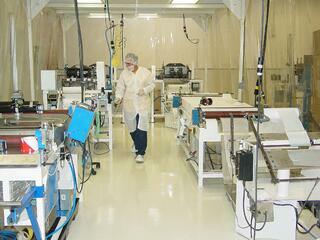 Dexmet utilizes a Class 10,000 clean room for manufacturing expanded polymers to reduce the amount of contaminants. Many Flouropolymers, like PTFE, FEP and PFAs, build up static electricity on the surface of the material which attracts contaminant. By expanding, stabilizing and packaging these polymers within in the clean room environment, minimizes the prescence of FOB being introduced into the end product. Dexmet’s process variations can meet your requirements for open-area polymer qualities, including thickness, strength, and ease of material handling. The samples below demonstrate the interesting versatility of our expanded plastics. Please be sure to note the availability of Dexmet’s specialized manufacturing features. Stabilization Process - P/N Reference "ST"
Dexmet has developed a stabilization process that provides dimensional stability after the expansion process. Expanded polymers, especially flouropolymers, have a tendency to resort back to their original form after expansion because of their elastic properties. The stabilization process is a procedure that uses heat to remove the plasticity of the polymer and remove any stresses brought about by the expansion process. The flattening process reduces material thickness and creates a smoother mesh surface that’s similar to perforated metal. Pocket depth is also reduced or eliminated. 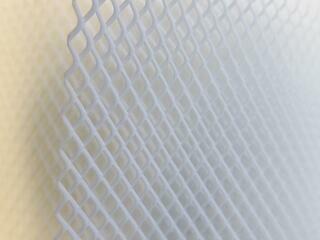 The flattening process increases material coverage while reducing the size of the open mesh area. Please consult the company for further information on flattening. Pulling the mesh after expanding can result in several desirable features. Pulling changes the shape of the opening. It increases the overall thickness in most configurations, and can increase the stiffness or tensile strength. Distex Brick material creates a deeper pocket, to accept more filler or coating, and adds longitudinal strength in some configurations. Customers frequently turn to us to provide a finished piece, die cut to specification. Dexmet blanks parts from PolyGrid® materials for some of the most critical applications, and we are always prepared to discuss your die cut requirements. Dexmet engineers are always ready to assist you with your unique product development or process integration issues. We can also help with your overseas requirements, from crating to customs and freight forwarding. 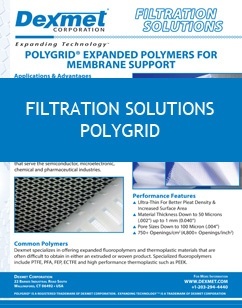 Let us assist with your PolyGrid® product. PolyGrid® expanded polymers are primarily used as filtration membrane support materials and separation/feed/drainage layers in pleated or spiral wound filter cartridges. Download this guide and learn if they can benefit your application. Let a Dexmet expert help you realize the advantages of using a PolyGrid material for your semiconductor, advanced filtration, or other polymer application.